The trauma of a loved one falling foul of illness is captured in this moving Brit indie. The Korean smash hit in which a battle against zombie hoards takes place on a commuter train. Mamoru Oshii’s classic anime is being re-released in the UK early next year. A role reversal spinoff to this year’s surprise summer hit would be a step back for gender diversity. A Cannes-winning drama and a tribute to Nora Ephron are among the highlights at the 20th UKJFF. 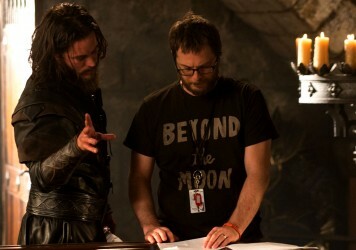 Will Netflix put Duncan Jones’ filmmaking career back on track? The director is returning to his indie roots with a spiritual sequel to Moon. She’ll play the lead alongside Tilda Swinton in Luca Guadagnino’s fresh take on the Dario Argento horror classic.